Encompass Health is looking for outstanding people who would like to spend quality time with the patients in our care. Most of our patients are without family members for 5 to 8 hours of the day, they always enjoy a visitor giving them a friendly hello. This opportunity allows you to make a lasting impression on someone, being a hospice volunteer is a sacred title, hospice was built on volunteer work and we cherish that still to this day. 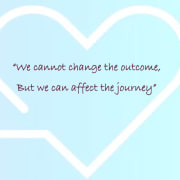 "We cannot change the outcome, but we can affect the journey". If you would like to know more about this incredible opportunity send us an email today. Must pass a drug test before starting.